Your first battle with your Rival. If your Pokémon is wounded, get it healed in Cherrygrove City. When you head towards New Bark Town, you'll be ambushed by a mysterious trainer who got his hands on one of Professor Elm's Pokémon: Totodile if you chose Cyndaquil, Chikorita if you chose Totodile, or Cyndaquil if you chose Chikorita. Since your rival's Pokémon will always have the Type advantage, you'll need a good plan or a high level Pokémon to win (equipped healing items help too). Be advised: even though your rival's Pokémon has a type advantage, its level is only 5. By this point, your starter Pokémon should have leveled up a few times, which should be advantageous for you. While the police investigate the theft of the Pokémon (and give you a chance to name your Rival), give Professor Elm the Egg. As you leave, his assistant will give you your first Poké Balls. You can now buy them in Cherrygrove City and most other cities as well. Your mom likes buying fun Pokémon stuff for your room, like the Charmander and Snorlax dolls, and you can use them to decorate. When you're in your room, choose Decoration from your PC menu to arrange the objects. You may want to stop by your home and leave some of your extra cash with Mom. While you're on your journey, your mom will help you save your money if you want her to. This keeps you from losing it when all of your Pokémon faint (the money in your possession is halved, but the money Mom's holding is not). You can even set it up so she'll automatically take a cut every time you earn money from other trainers. You can also bank by phone—just give her a call! Your mom loves to shop, and she will call you when she's purchased something new. Sometimes she buys helpful items, like Potion or Repel, and sometimes she just buys decorations for your room. Your mother can also buy a rare Moon Stone. Going into this building will take you to Route 46. The first step of your quest to become a Master Trainer is conquering the Gym in Violet City and earning the Zephyr Badge. 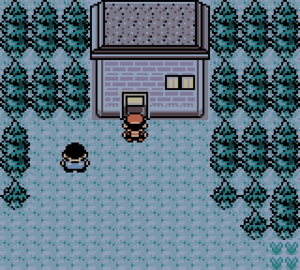 Assemble a party of Pokémon and head back to Route 30, then continue on to Violet City. Detours along the way, like Route #46 and the Dark Cave present great opportunities to catch rare Pokémon. 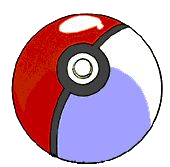 If you're new to the Pokémon series, a guy on Route 29 will show you how to use Poké Balls. If you're an old pro, just start using the balls you got from Elm's aide, and then head to Cherrygrove City for more. If you chose Cyndaquil, it's not as necessary to capture flying types, because flying Pokémon have an advantage against many of the same types of Pokemon as a fire type Pokémon. Otherwise, you'll want to catch a Hoothoot. Whether you're trying to catch all of the Pokémon you see or just the ones that you need, you should always be prepared for an encounter with a rare Pokémon. This means having at least five or six Poké Balls on you at all times, and at least one low-level Pokémon on your team or a Pokémon with the move False Swipe. That last part is important, since it's incredibly difficult to catch Pokémon when they're at full health. They're a lot easier to catch when they're in the yellow damage zone, and a cinch when they're in the red, but you'll need a weak fighter to take them down to that level or you may accidentally defeat your target as you whittle away at its health. Sleep, Paralysis, and other negative conditions also make catching wild Pokémon easier, but don't use Poison or Burn or they could be defeated. Butterfree and Bellsprout can learn moves that cause these status. Route 46 - Stopping by is a good idea! This walkthrough does not cover Route 46 until much later in the game. But there's good reason to visit it early in Crystal — you can now catch a Phanpy here! They're very rare, and only appear in the morning, but are worth the trouble. A Phanpy raised from level 2 will grow up to be an unusually powerful Donphan, the best Ground-type Pokémon in the game! During the day you can also catch Geodude, Rattata, Spearow and Jigglypuff there, and unlike Phanpy, they're very easy to find. Jigglypuff appears 5% of the time both day and night, so stick in there to catch one. Its your first opportunity to catch a Pokémon with Sing making other Pokémon captures easier. To get to Route #46, head through the building in the north part of Route #29. First opportunity to catch Jigglypuff in the bottom area of Route 46. It will be be level 3-5. It starts with Sing as its first move and will learn defense curl before it gets its first Attack that causes damage at level 9. So it needs to be put in top of the group and switched out rather than attack to get any exp. Worth the work as an early Pokémon to catch. Quite slow however. First opportunity to catch Geodude. Very helpful as a tank to get through the early routes of the game. It can learn Rock-type move Rock Throw at level 11 and has great new attacks like Ground-type Magnitude (very powerful at level 16!) and Rock-type Roll (decent at level 31). Can learn Strength HM and also Fighting-type move TM08 Rock Smash which is useful for when in caves. Now this is a chance worth taking when catching this Pokémon. It is not much at low levels but stick in there and level it up into a Donphan or not allow it to evolve to learn the powerful Normal-type move Double-Edge at level 49. Where as Donphan learns Ground-type move Earthquake at level 49. First opportinity to catch Spearow! It may not have a third stage of evolution like Pidgeys do, but they're a bit rarer, a bit stronger, and a lot cooler. They also start off with a bigger advantage than Pidgey versus bug types since they start with Peck, a Flying type move. It will be one of your strongest early Pokémon for a while. This page has been accessed 342,157 times.